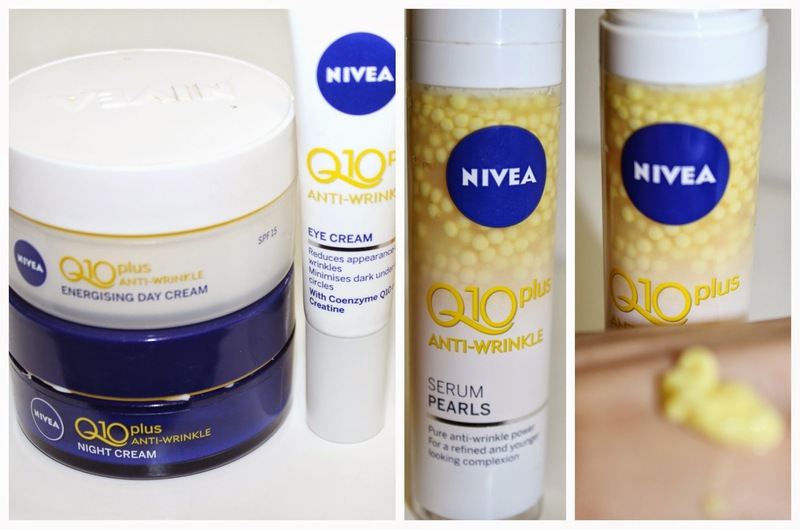 Have you heard already of the Nivea's new serum... drum roll please... the NIVEA® Q10 Plus Anti-Wrinkle Serum Pearls! 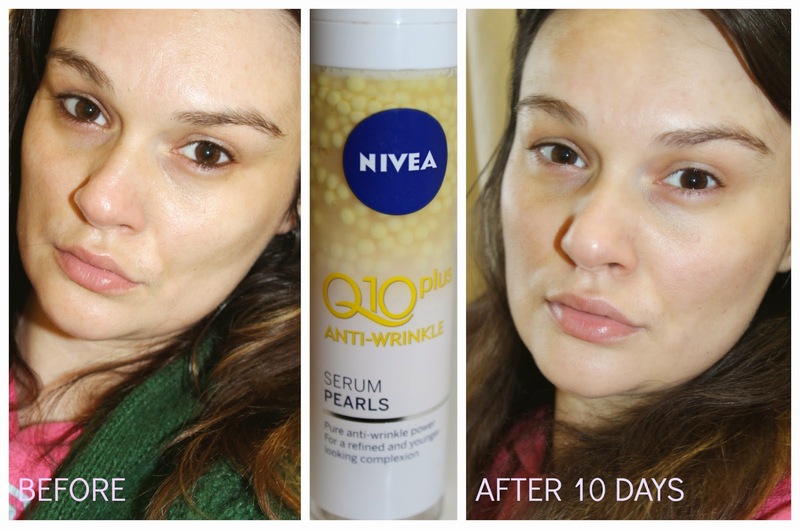 I am a big fan of the Nivea products (if you have missed my post where I rave about my beloved Nivea cream... check it out here) and as expected the Q10 plus Serum Pearls didn't disappoint. It brightens, it hydrates, it plumes up the skin, it sings and dances... ok it doesn't sing and dance really, but does everything else mentioned. 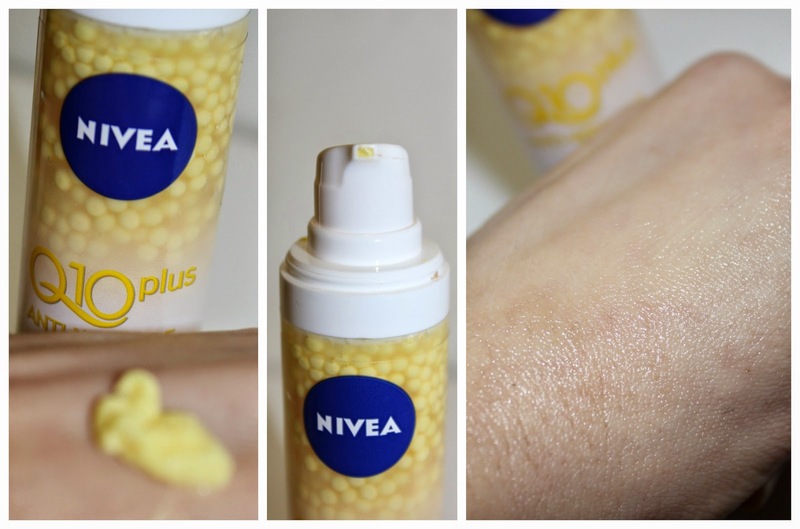 NIVEA Q10 plus Anti-Wrinkle serum contains highest dosage of skin's own coenzyme Q10 and Creatine which are naturally found in young skin. With age, their levels decrease, leaving the skin with less energy to regenerate. The serums powerful formula enriched with Hyaluronic Acid proves its pure anti-wrinkle power by not only helping to visibly reduce the appearance of wrinkles but also helping to prevent the formation of new ones. The serum provided a soft silky application, which left my complexion looking fresher, brighter and feeling like velvet so soft to touch, I hardly could keep my fingers of my face. It easily absorbed into my skin and left it hydrated with a very light feel without an oily residue. The serum comes out the pump container with lumpy pearls and when you dispense it looks like a thick yellow mousse which then liquifies into a serum when it comes in to the contact with the skin. One pump is enough to cover the face, little goes a long way so it will last for a long time. And on top of that, at price of €17.99 its so reasonable priced, especially given all the benefits it provides which some serums three time the price promise but don't deliver! I am not mad about the scent though, its quite strong and masculine almost like a cologne, but still not unpleasant, its just that I prefer the classic, soft, powdery Nivea scent. Sigh! Yes, my friends this is how I really look like without makeup ... the reality... warts and all! My age - 35 years - just in case you were wondering! After 10 days of using the serum, I can honestly say that my skin looked less tired and the emerging fine lines seemed to be more refined and less visible. I have used the serum together with the Q10 Anti-Wrinkle Daycream and Q10 Anti-Wrinkle Nightcream, and they seem to work so well together. Amazing product that will be my new "must have"! Highly recommended! 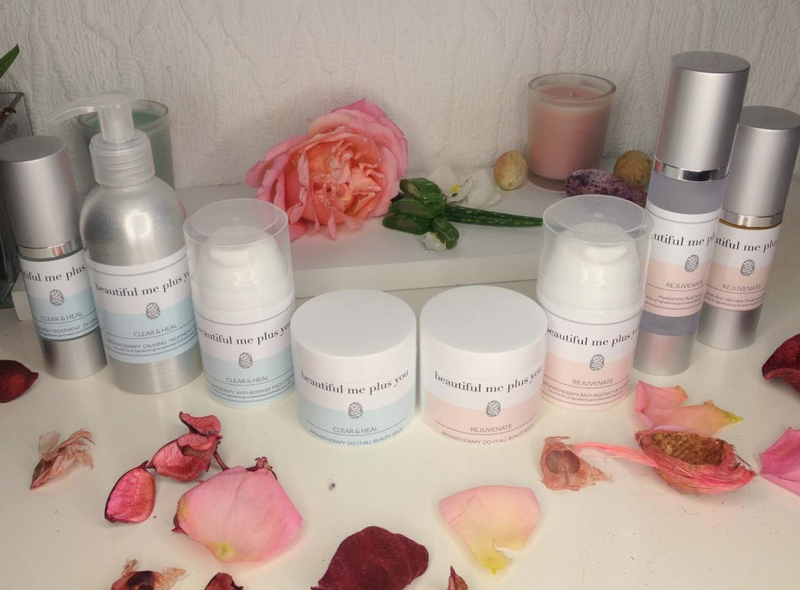 Have you tried the Q10 plus Serum Pearls yet? Whatcha think? How often you put that serum pearls...once or twice a day? is there an age border ?